Located in the northwest of Anxi County, 130 kilometres from Xiamen, Hutou Town has always been a transportation hub and a commercial powerhouse in a county which is famous for its tea products. Surrounded by mountains, the town sits quietly in the bottom of a basin, with a river flowing from its centre. The town has a resident population of around 90,000 people, and covers an area of 101.2 square kilometers, which is divided into 21 villages. As one of the historical and cultural towns in Fujian Province, Hutou has always been recognized as a town with splendid resources, heavenly treasures, and outstanding people. 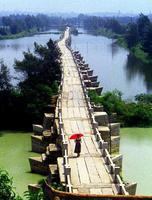 The town is also known as ‘Little Quanzhou’ thanks to its prosperity ever since the Ming Dynasty. 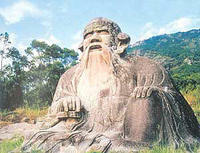 Li Guangdi (李光地) is the most famous person ever born in the town. 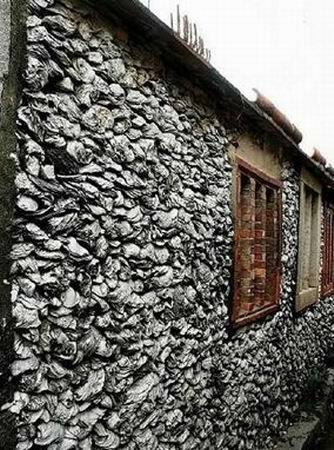 Despite the fact that Li Guangdi passed away almost 300 years ago, his former residence still occupies a very large part of the town’s central area and he has always been the person that has brought the most glory to the little town. Local people still take delight in talking about him and his achievements. 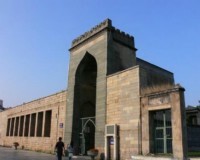 Li was once appointed as a Grand Scholar at the Pavilion of Literary Profundity, an official position equivalent to Prime Minister in the Qing Dynasty, and Minister of Personnel. He made great contributions to putting down the Revolt of the Three Feudatories, reclaiming Taiwan Island and reducing taxes, winning respected status and the favor of Emperor Kangxi, who granted him three royal plaques in recognition of his outstanding contributions. 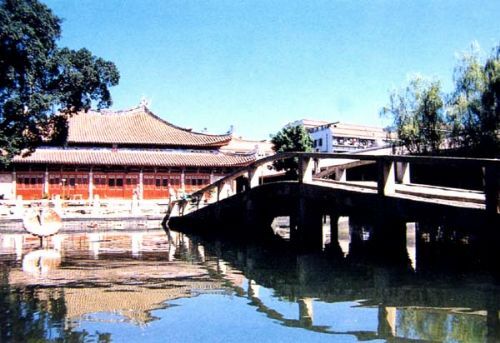 The Former Residence of Li Guangdi is well-preserved and maintained, still exuding the same glamour and prestige as it did in the Qing Dynasty after hundreds of years. The symmetrical architecture is built from red bricks and grey roof tiles, and features upturned ridges and wooden carvings. There is also the Xianliang Ci (贤良祠）, or the Virtuous Temple, in Junmin Middle School in honor of the Minister. 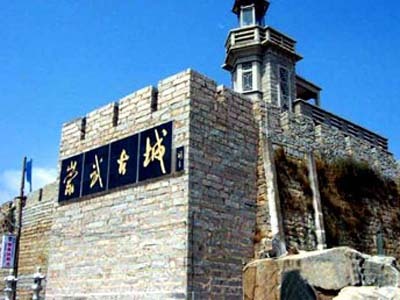 Taishan Yan Temple (泰山岩) is a one of the must-visit places in the Hutou. 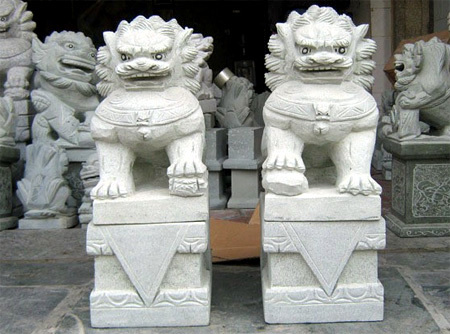 The temple is built on the mountainside of Dajianshan Mountain in the southwest of the town. Legend has it that emperor Gojong of the Song Dynasty gave Buddhist Huang Huisheng, who is the founder of the mountain, the title ‘The Xianying Master’, which means the god who answers to all calls, after he passed away in the mountain. Local people subsequently built a temple on the mountain to honor his merits. Built in the middle of a dense forest, the Taishan Yan Temple is a symmetrical three-storey pavilion which features incredible dragon roof carvings, lifelike statues, wooden carvings and red bricks and tiles. 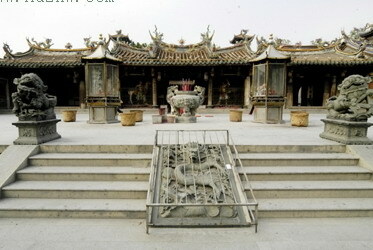 Master Huang Huisheng, the Eighteen Arhats and other Buddhist gods are worshiped in the temple. 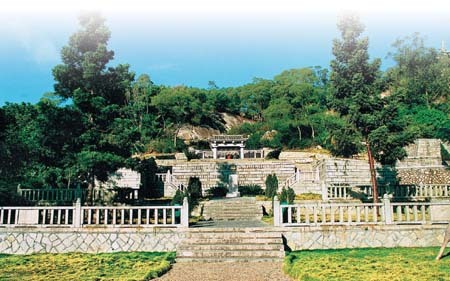 The temple can be reached by both winding roads and stone steps laid down in the forest. You can also get a spectacular panoramic view of the town while standing right in front of the temple. For those who wish to continue climbing the Dajianshan Mountain after they reach the temple, there are over 2,000 stone steps which run all the way to the top of the mountain from near the temple. The town is also famous for its varied tasty special snacks, which include Hutou rice noodles (湖头米粉), chicken rolls (湖头鸡卷), steamed buns with salty bamboo shoots (咸笋包) and steamed taro buns (芋包). Among them, the Hutou rice noodles are the most famous native product. Authentic Hutou rice noodles are crystal-white, as thin as hairs and as tough as rubber. The complicated and unique production technique gives Hutou rice noodles a smooth and tender taste, and makes them boil-resisting. It’s said that Li Guangdi once took Hutou rice noodles to Beijing and presented them to Emperor Kangxi as a tribute on his 29th birthday. Emperor Kangxi was delighted with Li’s fried Hutou rice noodles dish, and hailed Hutou rice noodles as the “king of rice noodles”. Eighty percent of farm households in Fushou and Tangtou villages make a living by producing the rice noodles, with those produced in Fushou village the most famous. Hutou rice noodles are now exported to dozens of countries and regions including the US and the EU. The town is now in a process of rapid urbanization, but it still worth a visit if you want to explore the inner Southern Fujian mountainous area, see the beautiful tea lands and the production process of Anxi Tie Guan Yin Oolong Tea, and have some exquisite snacks. If you go: Take a bus from Xiamen Fanghu Bus Terminal to Hutou Town. The bus fare is 40 yuan, and the duration is about 2 hours 30 minutes. Budget hotels are available very near the town’s bus station. 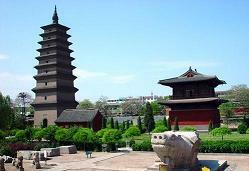 We offer cheap flights to Quanzhou and cheap hotels in Quanzhou, build your trip with us and save money.